Blackjack basic strategy is not a guaranteed winning system, but without knowing it you wouldn't make a great success in a game and it would be uneasy to win a lot of money without this data. The first blackjack basic strategy chart was firstly published in 1960-s in Edward Thorp's book "Beat the Dealer". It is useful for taking decisions when to stand, split, double down or hit. If you know how to read basic strategy charts it would be easy to you to understand the whole strategy properly. Remember! Chart's left vertical column is your hand and top horizontal one is the croupier's hand. So you have to find the correct way of play where hands meet. S/R - Surrender or stand. To be a good blackjack player you need to memorize blackjack game strategy. It seems quite difficult, but it is realizable. First of all, the players have to find logical patterns in strategy charts that will help to understand the game. In some casino novices are allowed to use blackjack basic strategy laminated cards. Their size is almost credit card's size and they are very convenient in usage. Does the Basic Strategy Really Work? The basic strategy only shows proper mathematical decisions and it doesn't always guarantee your victory. But its usage increases player's winning chances. 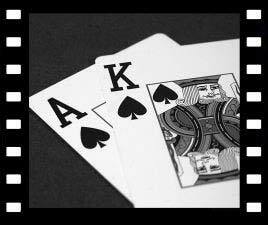 Blackjack strategy charts are very helpful when you play blackjack online, as it is not always allowed to use them in land casinos.